Mysuru: At a time when Lok Sabha election is raising enough heat and dust and being the talk of the town, here comes the news of a major house burglary where 5 kgs of gold, 30 imported watches and Rs. 11 lakh cash kept in two lockers were stolen from the posh house of a doctor in city. The total worth of the loot is estimated to be more than Rs. 2 crore. The family was away in Bengaluru when the theft took place and surprisingly, the doctor’s family had switched off the CCTV cameras before locking the house and leaving for Bengaluru. The palatial house at Vijayanagar belongs to Dr. Rajiv, a chemotherapist at a private hospital in city. Dr. Rajiv, along with his family members, had left for Bengaluru on Apr. 9 to receive his parents who had returned from the US. On Apr. 11 (yesterday), Dr. Rajiv received a call from neighbours, who informed him that the back door of the house was open. 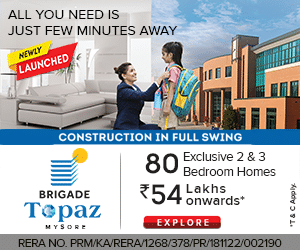 A shocked Rajiv and family rushed back to Mysuru only to see their house burgled. The family found that the iron gate of the passage of the house broken along with the back door from where the thieves gained entry into the house. Burglars had entered the first floor of the house through the back door and broke open the two lockers that were in the two master bed rooms and made away with gold jewels, cash and imported watches. 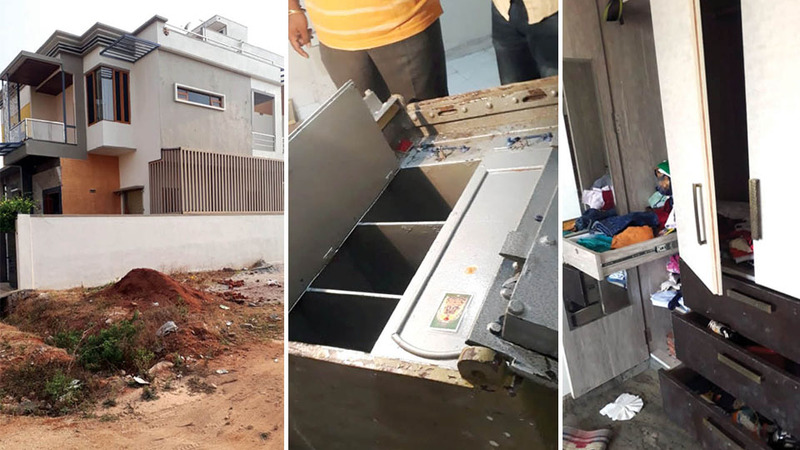 Interestingly, though the house is well-equipped with CCTV cameras, the family had switched them off before leaving to Bengaluru, a wrong move that gave the burglars a clear advantage. Vijayanagar Inspector B.G. Kumar and staff conducted mahazar yesterday in front of the family members and city fingerprint unit personnel and dog squad were summoned. DCP M. Muthuraj and N.R. Sub-Division ACP Dharanesh visited the house. It is suspected that the burglars first broke open the iron door of the passage leading to the rear portion of the house and broke open the back door and entered the first floor of the house where the two master bedrooms are located. The burglars entered the first master bedroom and took away Rs. 11 lakh cash that was kept in the cupboard. They then entered the second master bedroom and broke open the locker kept under the bed and stole 5 kg gold ornaments and 30 imported watches. Interestingly, the burglars did not touch the silver articles weighing about 10 kg worth about Rs. 3,80,000 kept in the same locker. Police suspect that after gaining entry into the house, burglars would have searched the nook and corner and that is how they were able to discover the locker that was kept under the bed in one of the master bedrooms. The Police even suspect that somebody knew of the secret locker under the bed. Despite repeated Police advisory to residents not to keep large quantity of cash and jewels at home and also inform the jurisdictional Police while going out of station so that the Police can keep an eye on the locked house, most of the people are not following it which is in turn leading to such crimes, Police said.